L’Étoile Violin Duo is happy to announce that we are now a Fractured Atlas fiscally sponsored project. This non-profit arts service organization allows us to accept tax-deductible donations. That means you can be an active part of our future projects! Our upcoming plans include a brand new, exciting commission for our violin duo by extraordinary American composer Augusta Read Thomas, in addition to concerts, workshops and master classes both in the US and abroad. Please join our L’Étoile family of supporters! Contributions of any kind are much appreciated – even $25 can help us continue to provide exciting concerts, pursue innovative projects, and bring music to a wider audience. Donations should be made through Fractured Atlas, and are tax-deductible to the extent of the law. Your name will be featured on both our website and our Fractured Atlas profile. Thank you very much for considering to help us grow. We want to express our deepest gratitude to our friends and donors, especially the Gordon Family, Thomas-Jacobs Family, Donna Jerome and Heather Mahoney - thank you for your support! Described as “outstanding” (Martín Llade, Melómano music magazine), the L’Étoile Violin Duo was created by its members, concert violinists Hsin-Lin Tsai and Miguel Pérez-Espejo Cárdenas, as a result of their love for chamber music and, in particular, to explore, develop and expand the violin duo literature. Since their début in 2004, they perform throughout the United States, Europe and Taiwan. The Duo's activities include invitations from the Instituto Cervantes of New York City and its Director, distinguished writer Antonio Muñoz Molina, to present Spain in Chamber Music, a four-recital cycle; performances on the European Day of Music celebrations in live radio broadcasts throughout Europe; and CD recordings with the RTVE MUSICA label, of the National Radio of Spain. Recent projects include the Santander Bank concert series El Violín Hispano at the Tsai Performance Center in Boston, Nantucket's Winter Concert Series, the complete Bach violin concertos, and performances as soloists with the Gardner Chamber Orchestra and Chamber Orchestra of Boston. In July 2015, they presented the Tanglewood premiere of celebrated composer Augusta Read Thomas' "Double Helix, Mansueto Tribute" for two violins in a performance devoted entirely to new works. 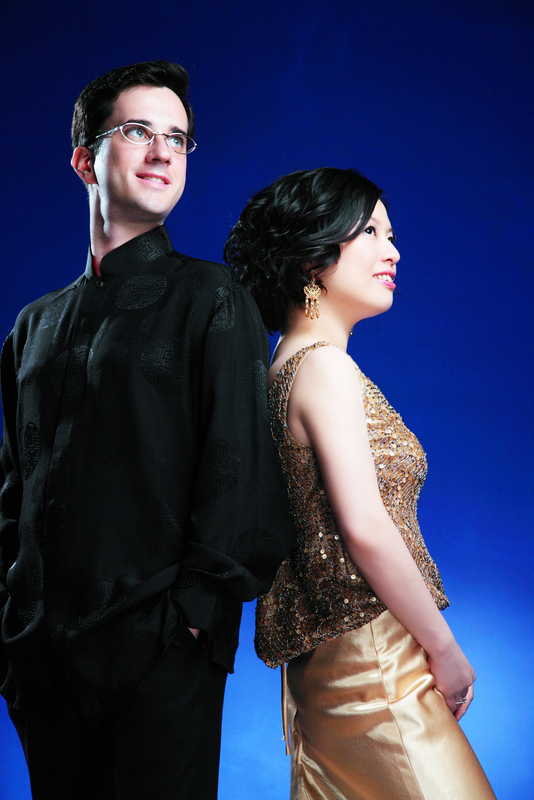 Their elegant, artistic style, superb ensemble technique, and unique ability to bring the personality of music they perform to life, have earned them the admiration of music critics and peer musicians, who have described their playing as “sublime.” Their versatility is illustrated by their wide repertoire, ranging from the Baroque period to the music of our time. In this particular respect, the L’Étoile Duo has an unwavering commitment to the championing of new works. Read Thomas, David Lefkowitz, Michael Ippolito and eminent Spanish composer José Zárate are among the contemporary composers whose music is at the core of L’Étoile’s mission, always present in each of their concert programs. The new works they perform cover a broad scope, from abstract tonal and minimalist music to the meter-less expressionistic style best represented by Zárate’s "Little Nice Pieces", dedicated and written for L’Étoile and premièred in 2010. It is this conviction in music of our present day that has prompted composers from around the world to approach L’Étoile to perform their violin duo works. Besides performing, the L’Étoile Violin Duo is committed to education. Both members are dedicated teachers whose students are First Prize winners and laureates in national and international competitions. Through master classes, workshops, presentations and outreach concerts, L’Étoile exposes audiences of all social and cultural backgrounds to a kaleidoscope of extraordinary music, fostering communication, collaboration and understanding of music.